The aid industry is rife with criticisms about bureaucracy and effectiveness, and tracking the efficacy of aid projects in the field can be challenging. 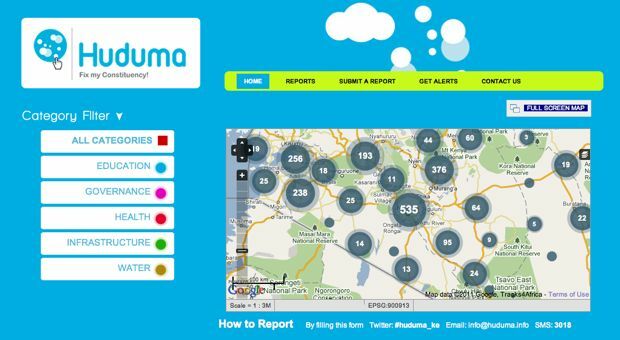 So it was encouraging that the U.N Millenium Campaign took a quiet, but significant leap forward this week when it launched its first citizen-driven tracking initiative, Huduma, an Ushahidi-powered web and mobile reporting service. “The campaign has been thinking very hard about how do you get a real conversation going between citizens and governments about realizations on the [development goals]…how do you get into the specifics of what is and what is not working?” explained Corinne Woods, director of the U.N. Millennium Campaign, which aims to meet several poverty and disease-reducing targets by 2015. The mobile-powered initiative allows ordinary citizens in Kenya to report on missing or inadequate services in health care, tax offices, education, government, and other agencies. If the only AIDS doctor in the village is not showing up to work, patients can text a message to the appropriate number and government representatives will respond and take action. This is one of the first times that a large aid organization has found a way to directly link citizen feedback with aid services. Huduma–because of its simple, mobile-based platform–has the potential to drastically improve the provision of aid services and in a very short time, doing away with lengthy paper-based survey campaigns.